For all intents and purposes, we were still a baby and would not even be allowed to step out of the house without an o.k. from our parents. But we do remember and how! 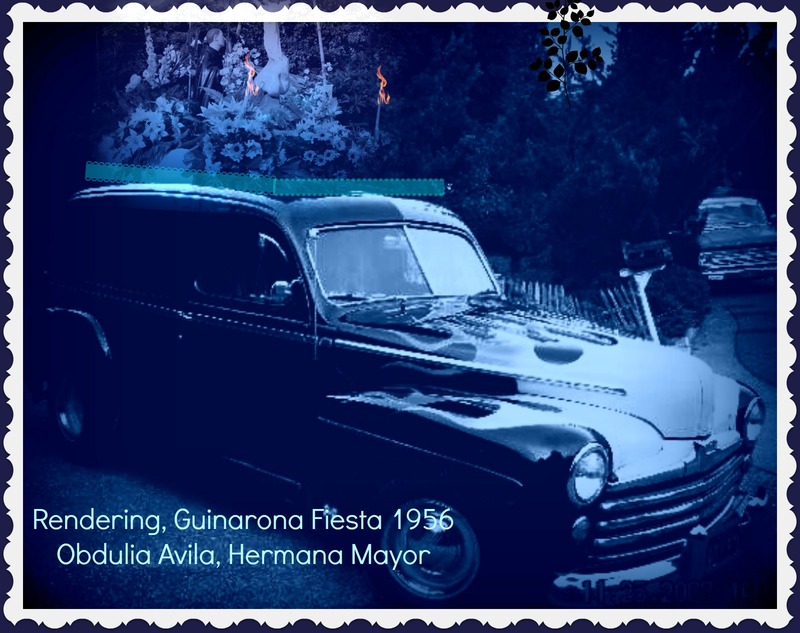 We remember: Obdulia Aragon being the host of Guinarona Fiesta 1956. And we remember that she mounted the San Pascual image on top of a 50’s van (rendering below). We remember how we would scramble to find candles as the procession was passing by. Yes, we do remember the haunting music from the brass band. It was a glorious time even as we only had gas lanterns for illumination. Reblogged this on Anibongpalm's Blog.